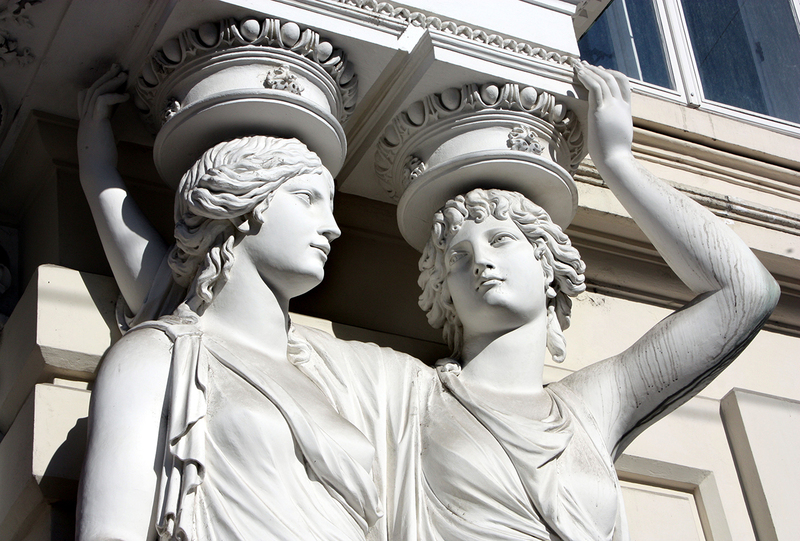 From ancient Greek architecture until our days, the beautifully sculpted female name caryatid supports the entablatures of many classical buildings. 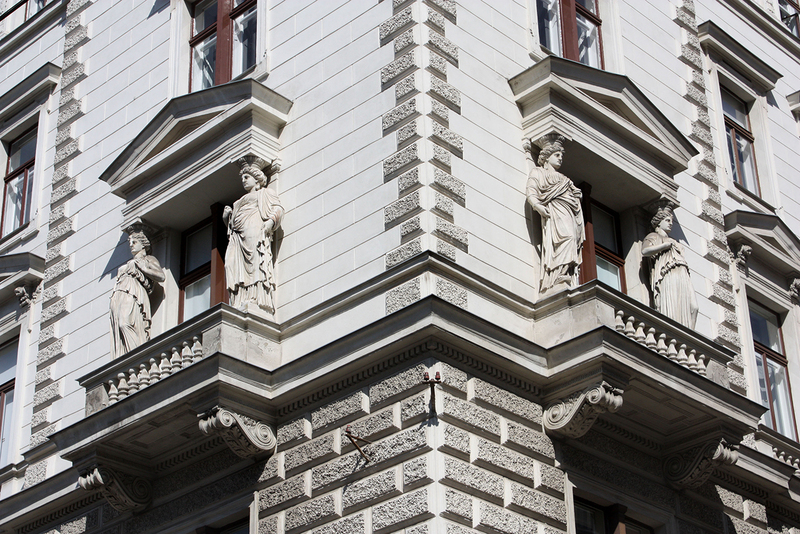 They are first recorded by the Roman architect Vitruvius. 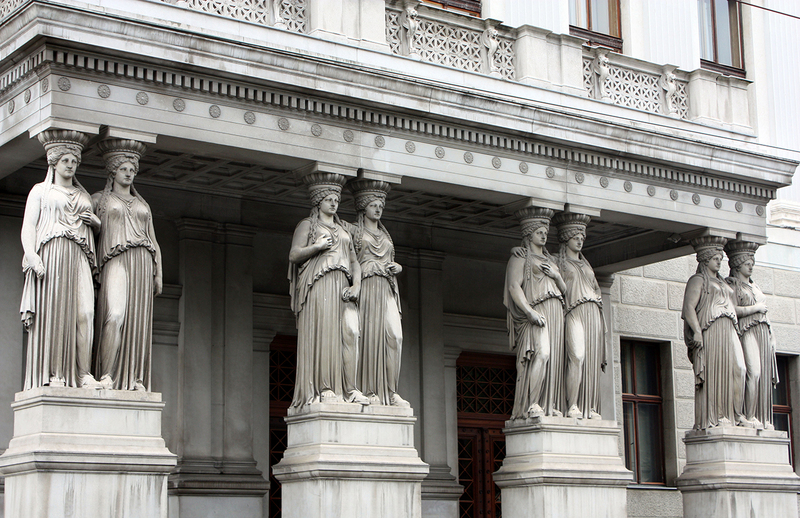 He described them as a result of the punishment of the women of Karyai, a town near Sparta: they were condemned to slavery after betraying Athens. 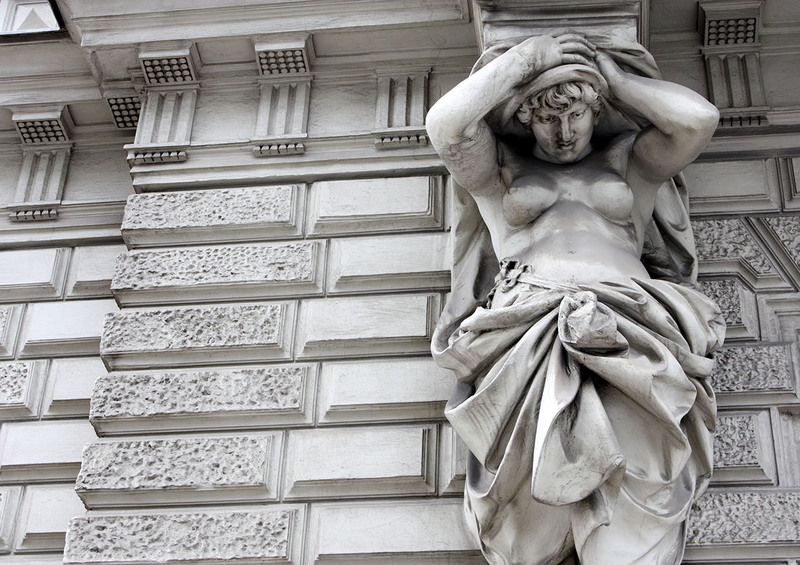 However, although this explanation is doubtful, the association still persists as the female counterpart of Atlas, the male figure who carries the weight of the world on his shoulders, also common in architecture used as a column. 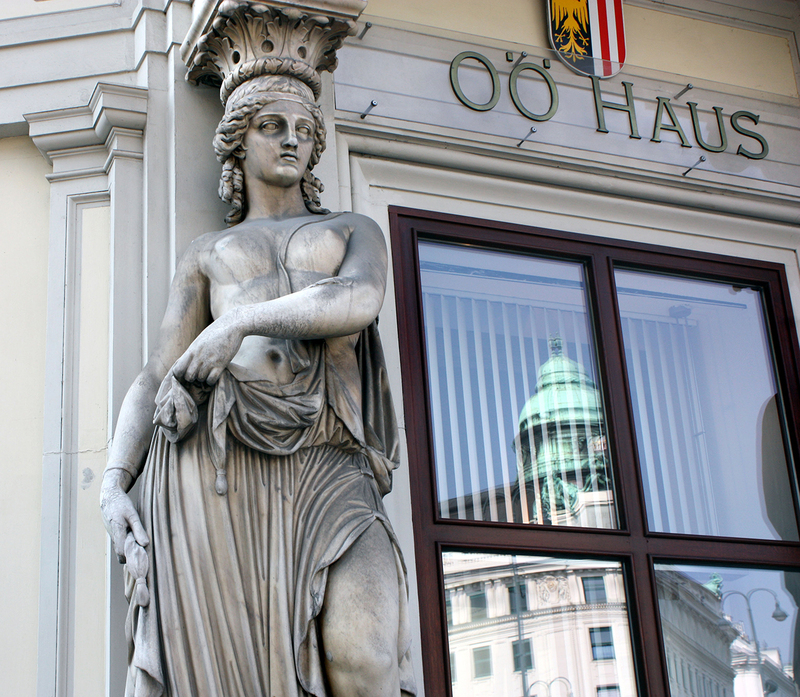 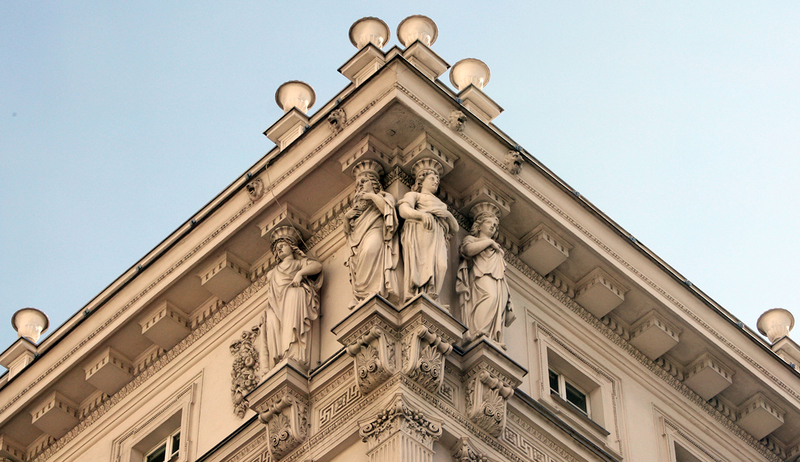 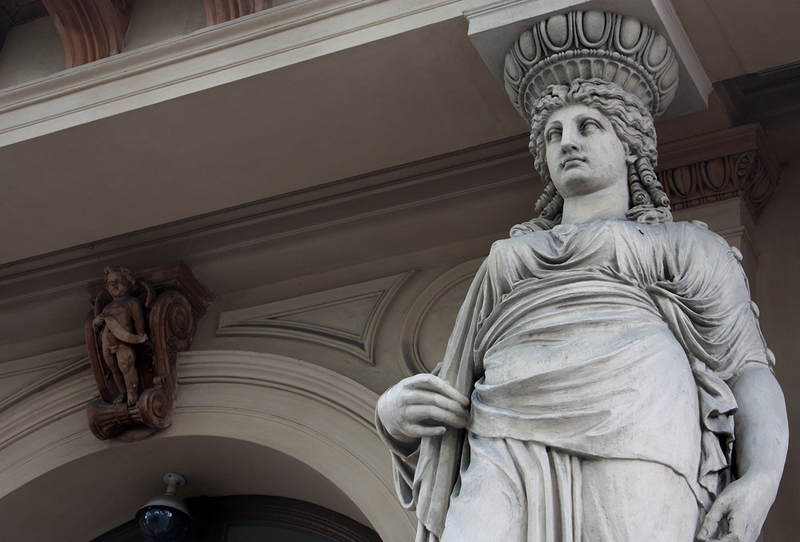 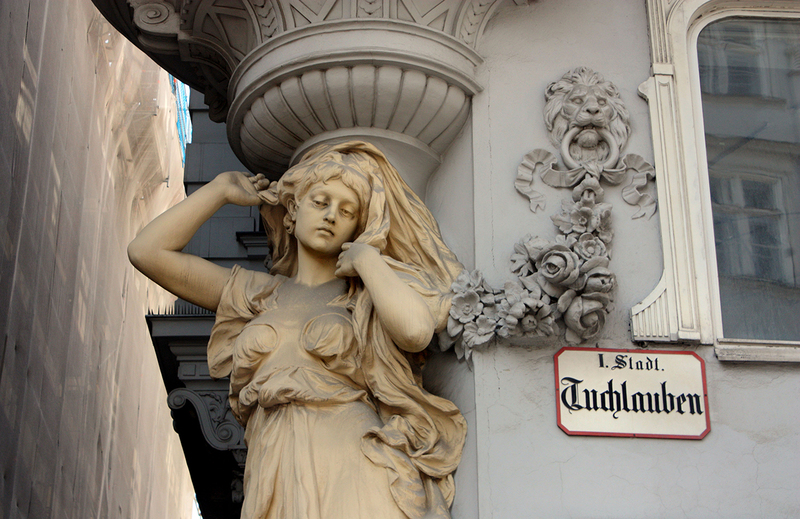 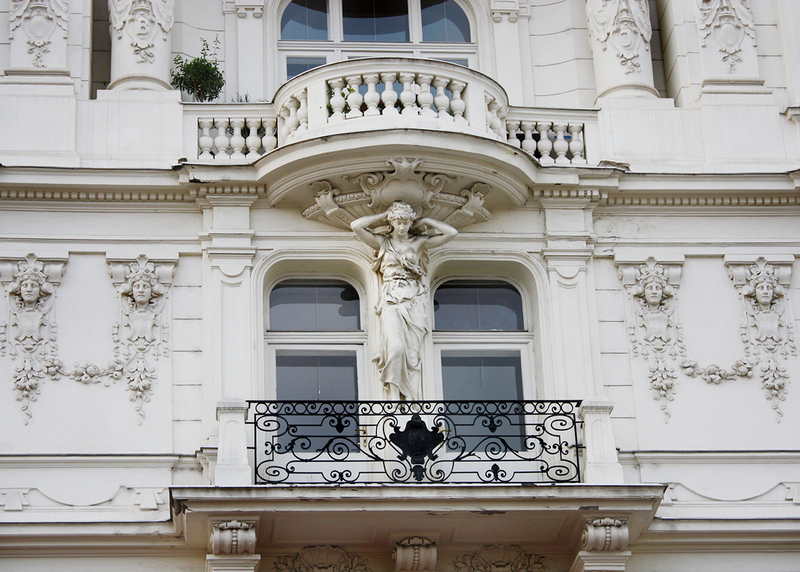 Many caryatids can be found in Vienna, specially in the 1st District – Innere Stadt – like the ones in the Austrian Parliament, the Epstein Palace and the Ephrussi Palace, as well as others less well-known, hidden among the streets of the entire city. 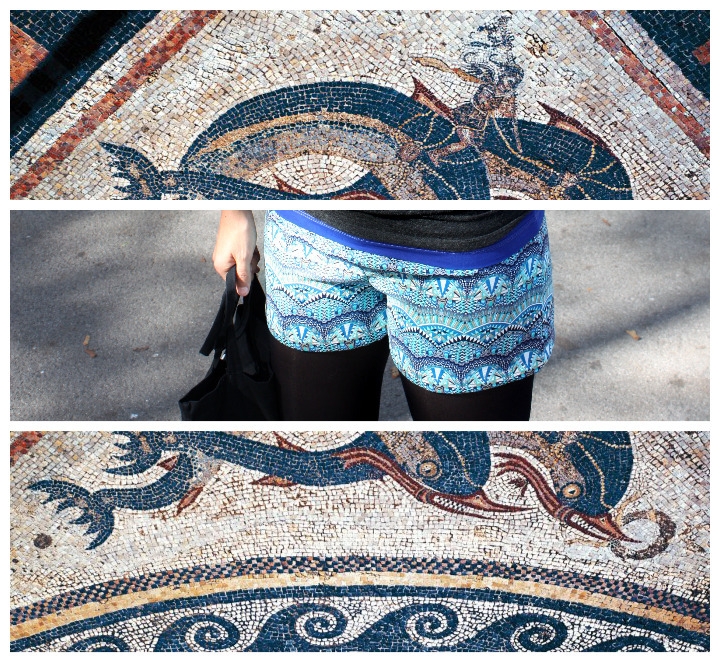 They bring us echoes of other times, of Gods and battles, whispers from the blue sea.